just wait. don't offer anything at all for one week. after that, offer her some mashed khichdi mixed with dahi. make her sit on your dining table and offer one spoon. if she spits out, don't force. forced feeding might feel easy to you, but you are creating problem for your baby. just act as if you don't care whether she eats or not. you eat that spoon yourself and say how yummy it is. take another spoonful, and repeat the whole process. after few times, or even few meals, she would be curious to know what it is that mom likes so much. mission accomplished. just be calm. she will eat when she is ready to. your anger or frustration doesn't help you or your baby in liking the food. all the best dear..
My son is 2 yrs 8 months old he run away wen it's..
My son is of 1year 3 months. he doesn't like to ea..
My 1 year old boy was not taking solid foods.  he l..
Hi my daughter didn't eat anything she spit every..
My 1 year old boy can not eat anything for past f..
My son he is now 15 months, not eat food properly..
Hi... My son is 2 years old but he doesn't eat an..
Help your child become friends with..